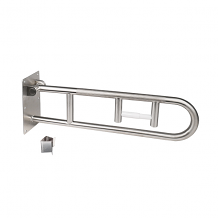 Equiparts carries a variety of stainless steel washroom grab bars with both concealed and exposed flanges. These grab bars for commercial washrooms come in an array of styles and sizes from manufacturers like ASI. Contact us at 1-800-442-6622 for pricing or if you have any questions.